The new release of WordPress also comes with a fancy WYSIWIG html editor installed. I’m going to have to make some modifications to this (or wait until people update their plug-ins) before I can really make use of it, though. However, a lot of it is mostly eye candy; such as AJAX menu options and update notifications. All-in-all, worth the 30 minutes of upgrade work and it should make the work of writing, well, a little less work. Just testing some other functions. No need to pay attention to the man behind the man behind the green curtain.. When is it pop-culture and when is it nostalgia? 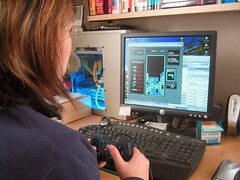 Angela playing a game of Tetris on the NES emulator. Angela and I have been spending a lot of our time off this holiday playing some classic 8-bit games on a NES emulator on my PC. Games like Legend of Zelda, Super Mario Bro.s 1, 2, & 3, as well as Tetris and Dr. Mario.1 We’ve both been amazed at how much fun it has been to go back and play all the games we loved as kids. It has occurred to me, that our generation seems to have an early sense of nostalgia. We haven’t waited until we were in our 40’s or 50’s (or even later) to decided we wanted to have bits of our youth around. Pop culture references are woven in our music and movies. Speaking of 8-bit gaming, I’ve listened to probably ten different renditions of the Super Mario Bro.s theme as performed by various musicians online (from guitar and bass solos to a capella groups to orchestras, with some being better than others). Also, I see Autobot and Decepticon stickers on automobiles2 (along with other references, like Thundercats, which just don’t quite make as much sense). Fox’s "The Family Guy" has at least five minutes of 80’s youth pop culture references each week (this past week with Stewie as the pinball in the Electric Company’s count animation has to have been the best yet, topping even the Kool-Aid man bit in the courtroom for us). I suppose it’s all some product of the fact that it was my generation (more-or-less) that was responsible for the internet being what it is today and allowing access to everything, anytime we like. Naturally some of our youth found its way on there early on. Anyway, it seems to me that Generation X (or whatever the hell they call us these days) has decided to stay young a little earlier in life. In healthy doses, I think it’s incredibly cool. It’s not that I don’t want to grow and evolve as a person, it’s just that I don’t wanna grow up ’cause I’m a Toys’R Us kid. 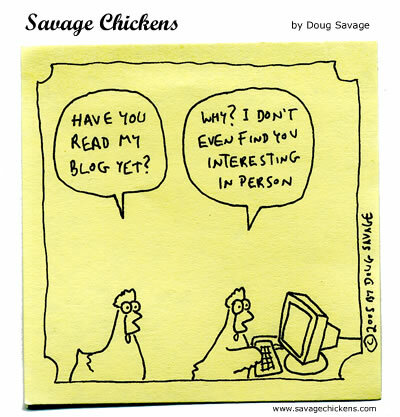 Maybe it can help us remind us of when our lives were simpler and we were all young idealist. We wanted to do what was right; whether it be help old lady’s across the street or fight Cobra. I know sometimes I find myself acting more like some shallow 80’s yuppie than anyone I would have actually liked when I was eleven years old. Maybe in thinking about what I did for fun back then I’ll have to keep that in mind as well.